Our growing community is our priority. We would love to help answer any questions or press inquires regarding our Fleet Farming program. Please contact us using this form and we will be in touch. Visit our Events page to learn more about all our ongoing events, including our free educational Swarm Ride Events. 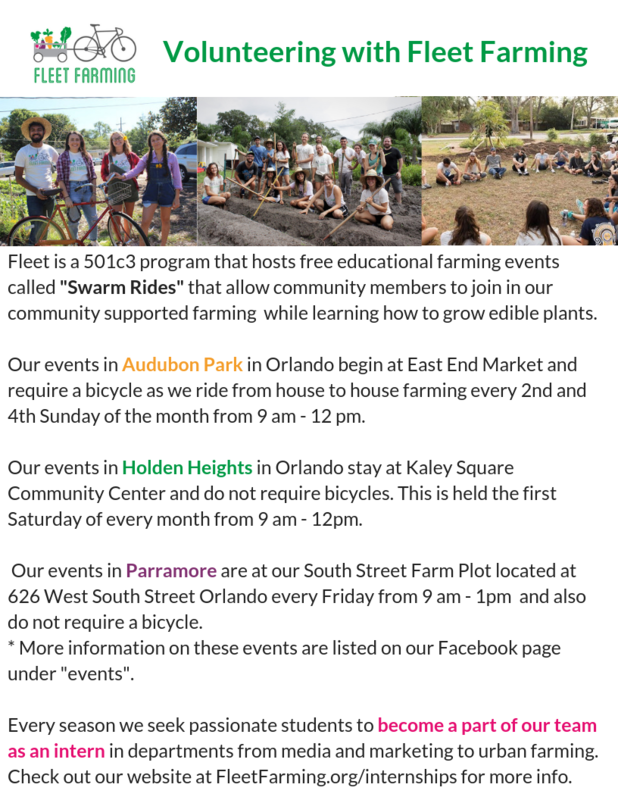 Download our full list of volunteering opportunities to gain community service hours or to help in your local food system. Check out our merch shop! Every purchase is a donation to support our nonprofit’s efforts of empowering all to grow food. Interested in joining our team as a Fleet Farming Intern? Apply here for the Summer 2019 Internship. Thank you for connecting with us. Let’s empower all generations to grow food!